Brighton Belle will always sail under the command of one of our member skippers. They are all volunteers paying sailing fees with everyone else, but they also take on, with the assistance of the mate, the overall command of each cruise. They plan the cruise, looking out for the safety of the crew and vessel and work to create a happy ship where all crew can take part and experience the wonders of yacht cruising no matter what their level of expertise. Our skippers are not instructors, but are always keen to give crew a chance to develop their sailing skills. 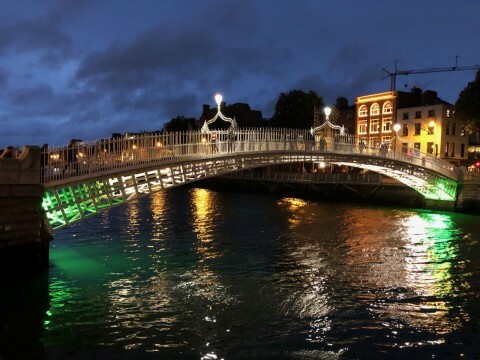 Crew members are encouraged to participate to the full and everyone is expected to help with the sailing tasks as well as with domestic matters including cooking and cleaning. Everyone will be expected to helm the boat, hoist, lower and trim the sails. Some may want to try their hand at passage planning, approaching and leaving moorings, anchoring and coming alongside, etc. I started sailing dinghies as a wee lad and progressed on to yachts as a teenager, sailing wherever and whenever possible. I spent a couple of gap years working charter yachts around the Eastern seaboard of the States, through the Bahamas to the Caribbean and across the 'pond' to the Mediterranean. RYA Yachtmaster since 1998. Brighton Belle is a true blue water cruising yacht. She is well equipped and very comfortable but sails like a thoroughbred. What's not to like? I started sailing just over 20 years ago with a friend, in the Solent, who owned a 34ft Moody. I fell in love with the activity from the first day and over the next two years took the necessary RYA qualifications to skipper a yacht myself. I then spent the next 15 years chartering 'Bare Boat' all over the world including the UK, Mediterranean, Caribbean and Australia, mostly with my family, but also with groups of friends. Towards the end of this period, I started seriously looking at purchasing my own yacht, but for various reasons never got the final purchase. When I heard about Brighton Belle, to me it was the ideal solution, a beautiful yacht, renowned for its open water cruising abilities, and even more important, the chance to join and learn from a group of like-minded sailing enthusiasts - the experience so far has lived up to my expectations. The highlight so far was skippering her last year from Plymouth to north west Spain across the notorious Bay of Biscay, which on this occasion gave exactly the right balance between exciting sailing without ever becoming a white knuckle ride. 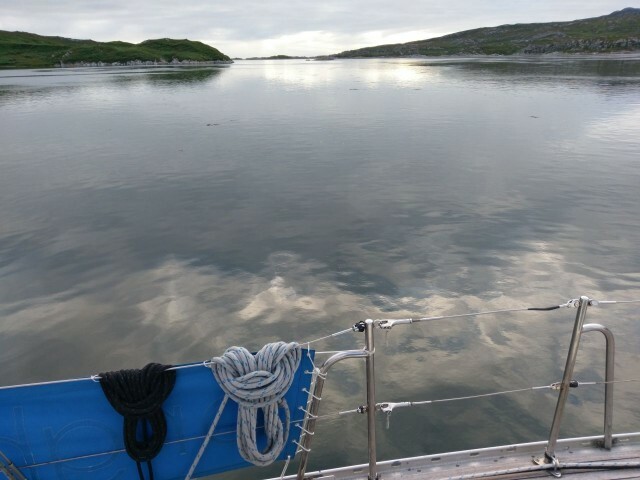 I have now accrued just over 5,000 sea miles, and when skippering I try to get a balance between testing and exciting passages while at the same time making sure we also relax and enjoy ourselves at local hostelries and isolated anchorages. I bought my first boat in Sydney in 1989 and with my dinghy sailing experience, explored Sydney waters in my Top Hat 27 for the next 11 years before selling her. 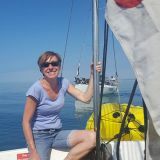 I have been delighted by the opportunities and experience since joining the Brighton Belle Sailing Club and have had six wonderful seasons coastal cruising, building on my experience. As a new skipper (2015), I have been building my sea miles and experience of skippering this larger yacht with an experienced skipper on each cruise in the 2015 season. This has enabled me to offer fun, adventurous and pleasurable cruises, while building on my seamanship. Having enjoyed an association with sailing since my youth in dinghy's and crewing on 36ft cruisers in competitive racing in the tidal waters of the Blackwater River. I spent many years racing fast catamarans as helm on the national circuits learning much about sail trim and race tactics. Trying out a flotilla holiday in the med with my family showed me that my skills were readily transferable to cruisers and a chance conversation with Phil Ford introduced me to crewing on Brighton Belle and what a magnificent boat to sail and you feel so special entering any harbour in her. The members are all so supportive and knowledgeable that before I know it I have built up several thousand miles on her including crossing the Bay of Biscay to Spain and I now have the confidence to handle her well. I now look forward to sharing these pleasures and my knowledge and experience with other new members in future voyages as her skipper. All this has encouraged me to take on the Clipper Round the World Race and next year I will be joining one of the 70ft ocean racing yachts to complete 3 legs crossing the Pacific Ocean, the West and Eastern seaboard of USA and home across the Northern Atlantic some 20,000 nautical miles. Having already completed the comprehensive training for crew for this event I was also selected to go on to specialised training to yatchmaster level as reserve Skipper. Non of this would I have contemplated without the experience that I have gained on Brighton Belle. My passion for sailing started when a friend took me out for a sail in the Firth of Forth in an Enterprise dinghy. I was hooked immediately, and began looking for opportunities to sail wherever I could. I continued sailing dinghies through my 30's, first learning the ropes in any boat I could get my hands on, later racing in Fireballs. 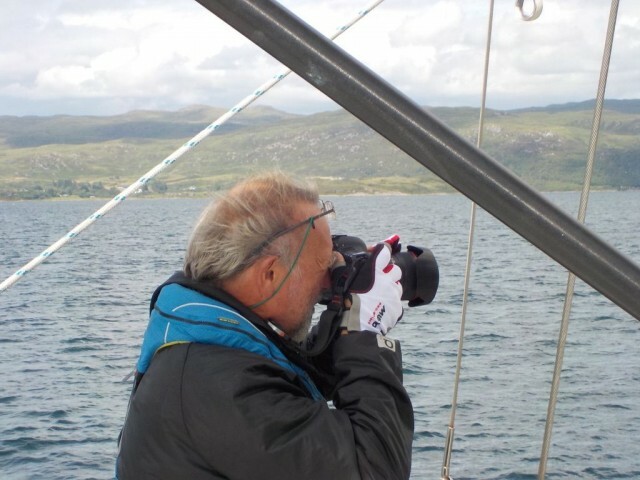 I then turned to yachts and worked my way up through crewing in club racing, getting qualified (RYA Coastal Skipper), skippering my own yacht in inshore races and cruising, skippering bareboat charters in the Mediterranean, Australia and in the West Highlands, crewing for deliveries, regattas etc. Since I joined Brighton Belle a couple of years ago, I have skippered a cruise around the western Canary Islands and an ocean passage from Tenerife to Madeira, the first leg of her return journey from the Canaries to UK waters. 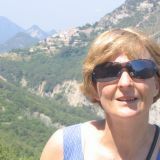 This is my 30th season cruising on sailing yachts and I have cruised the South and East coasts of the UK, Belgium, France, The Netherlands and the Baltic. I have also enjoyed warmer cruising in the Mediterranean, Canaries, and Caribbean. I am qualified to RYA Yachtmaster Offshore level and have done the theory for Ocean too, but so far have not made Ocean passages. My wife Judith Hankey shares my enthusiasm for sailing, and we shared ownership of two yachts before moving to the South coast and joined a yacht club which owns two yachts in the Solent in 2008. I was quickly identified as bosun material so now wander around with keys to “my” three yachts (including Brighton Belle). If you are not yet a member of Brighton Belle Sailing Club but interested in joining, why not try a free, introductory day sail (only available while she is in Brighton). For more details on joining the club, see About the Club and How to join.